Your home should be more than a place you live; it should be a reflection of who you are. Ensure your home makes the right impression by visiting Peck’s Flooring America for the products and services you need to update and transform your rooms. We are proud to be a prime resource for home improvement in Plymouth, MA, and the neighboring communities. We’re here to help with home renovation projects of all sizes. Whether you are undertaking a major makeover for your entire home or just planning a few simple updates for one room, our showroom is the place to go. We offer a wide variety of products from popular brands, and our team members are always close by to answer questions and make recommendations. Talk to our free personal designer on staff to explore the possibilities for your home. We are always happy to discuss your plans for your home with you and give the guidance you need to ensure the renovation is a success. For many projects, we also offer professional installation services. For more information, reach out to our team by phone, online, or in our store. Stop by our home improvement showroom to see our products in action and discover the perfect items for your house. Our showroom includes numerous displays highlighting current trends and time-tested favorites, giving you valuable design inspiration. 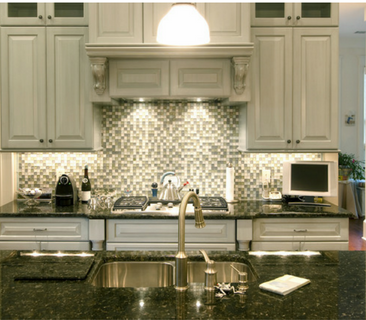 We have a designer on staff who will help you choose the right products for your home. These display also allow you to easily visualize how our products will look in your rooms. Contact our home improvement store to learn more about the many products and services we offer. We are proud to serve Plymouth, Kingston, Norwell, Halifax, Duxbury, Carver, Sandwich, Pembroke, Marshfield, Massachusetts, and surrounding areas.